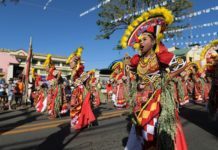 Zamboanga City is home to five indigenous cultural communities, the Subanen, the Sama Bangingi, the Kolibugan, the Bajau and the Iyyakan (yakan). These Indigenous Peoples supposedly have existed before the establishment of Zamboanga City and even the Philippine Republic. These five cultural communities have established ancestral domiciles with historical and oral traditions ranging from 100-300 (or more) years of existence in their particular communities. 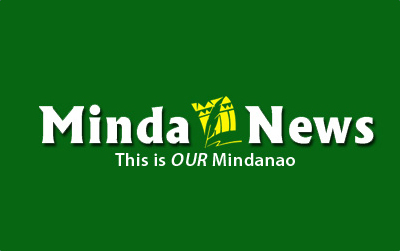 Zamboanga City presents a case of cultural extremism, while utilizing the symbols of the Bangingi and the Badjao in the vinta and the leha-leha (boat and the sail). Zamboanga’s identity today is far from the original identity that it once had, Sambuwangan whose original root word comes from Sambuwang (paddle or oar) coming from the Bangingi, Badjau, Iyyakan and Kolibugan dialects as well as Jambangan (flower-garden) whose root words describe the multiculturalism of the city but has been relegated to a very culturally insensitive branding “Latin City”. The city is neither Latin (unless we refer to descendants of the Mexicans and Cubans who have settled in Zamboanga), nor Hispanic. It may have Hispanic and Mexican roots due to being a former colony of Spain and having an outpost but it does not represent the true origin and character of Zamboanga, home to indigenous peoples and a melting pot of different cultural communities. The struggle for the recognition of the rights of the Indigenous peoples of Zamboanga is connected with the lifeblood of the city, the non-recognition of the rights of the IPs to claim ancestral domain which is theirs by historical right, existing before the city itself, as well as tacit denial of acceptance of their dialects as official dialects of the city. The supra-imposition of the Chavacano language without recognition of Sinama (language of the Sama), Iyyakan , Kolibogan and Subanen, is a gross abuse and neglect of their cultural rights and identity as Indigenous peoples. Although more than half of the 98 barangays have significant IP populations, there has been no serious attempt to implement IP education, nor the provision of IP sensitive legislation and policies, this may be credited to the inactivity of city legislators on issues regarding the indigenous peoples. Most of the current issues that are of grave concern in Zamboanga City connects with the local mass struggle of the indigenous peoples, the watershed which affects the water supply and ancestral domains of the Subanen, illegal logging and mining in areas of the Subanen, Sama and Iyyakan , the penetration of other fishing boats in the fishing areas of the Subanen, the Kolibugan , the Sama and the Iyyakan, the grabbing and control of coastal areas where the Sama Bangingi and Sama Dilaut live. This can not simply be credited to the present city administration but it has been a systemic problem which has been present for many decades since the establishment of the city. Governance has allowed the rich to exploit natural resources at the expense of the Indigenous Peoples. Recodo , named La Calderra by the Spaniards was one of the oldest communities that predated Spanish times with historical importance, its cemeteries and cultural communities bulldozed by international businesses. The Subanen Ancestral Domain was subject to the interference of the Zamboanga Ecozone Authority, who during the previous administration denied the right of the indigenous peoples to own ancestral domain. The Badjao may have claimed an ancestral domain successfully through the assistance of the National Commission on Indigenous Peoples, but it still has to reap the economic benefits as the Local Land Registration Office refuses to issue the LRA land title in their name. Same with the Subanen of Limpapa, Patalon and Labuan. There is a strong need to operationalize the implementation of both the Indigenous Peoples Rights Act (IPRA-RA 8371) and the National Commission on Muslim Filipinos Law (RA 9997) to protect the rights of the IPs. In the sense that other government agencies have been naïve to RA 8371 and RA 9997 and whenever laws come in conflict, the tendency is to interpret the laws contrary to or to the detriment to these laws. Government agencies and non-government institutions have an institutional naivete over these laws, which requires both cultural workers and advocates of indigenous peoples to highlight and inform these institutions on the value of such laws in preserving and protecting the rights of the indigenous peoples. Taking the leap forward means mobilizing support for the recognition of the indigenous peoples in Zamboanga City. The mechanisms of ensuring the empowerment of the indigenous peoples in Zamboanga City are enshrined in IPRA, so community and civil society organizations must move forward to implement this law. Mechanisms such as the Indigenous Peoples Mandatory Representative also exist. This allows representation, assertion and creation of laws for the benefit of the indigenous peoples in local legislative bodies. Mandatory representation in governance bodies must be pushed by IP groups and organizations to ensure their interests are protected. The recognition of indigenous political structures and indigenous political organizations allow both participatory governance and conflict resolution for the indigenous peoples. Allowing indigenous political structures and indigenous political organizations in the civil society sphere enables the elucidation of the agendas and interests of the indigenous peoples. The only question that hangs in the balance is how strong the political will of the local government is to accommodate the right to self-assertion and determination of the indigenous peoples. If the people of Zamboanga City fear the BBL so much, it should then be willing to accommodate the indigenous cultural communities into its social spaces and de-Latinize Zamboanga city and truly embrace its multicultural diversity. The true Zamboangueno is not limited to the Chavacano.